Looking for STEM+? Put the A into "STEAM" with our creative digital media classes. Adding 'Arts' to STEM adds value to any tech class. Tell stories, build games, learn to program in this creative tech programme. Using a 3D animation studio, students use an innovative block-based programming environment called ALICE to create their own 3D worlds. Creativity and exploration are central to the sessions. Learn coding skills to programme your own animation featuring anything from your own unique story to animating an entire dance troop! 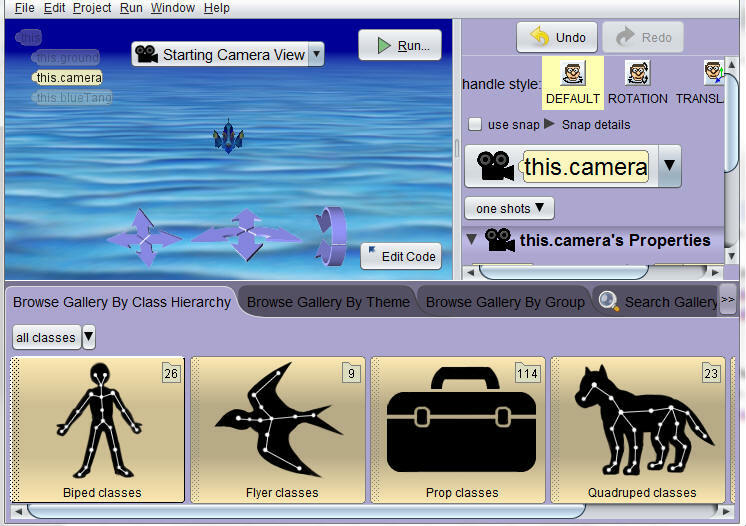 Learn about camera angles as you programme and animate a flying dragon. Understand the role that 3D animation plays in video games as you explore the art of game design. Creativity and creative thinking are wrapped up with logical and computational thinking skills keeping students hands-on and minds-on throughout. This class is designed to provide a creative context in which to teach logical and computational thinking skills, fundamental principles of game-design and programming and to be a first exposure to object-oriented programming. Students will learn to programme character interaction, movement, and control keys within their own games and animations. Nemo, Dory, and flying dragons will keep students engaged and having fun as they learn. The UK is a world leader in the VFX sector - that's visual effects to you and me! It's the process in film-making by which imagery is manipulated or created outside of live action. But it's also an area where the digital skills gap for home-grown talent is so evident - the opportunities for individuals with creative STEM skills and strong computational thinking are huge. It's not just sectors such as the film industry that value creativity alongside STEM skills. It's a skill set that's sought after across the board, whether it's digitial marketing, social media, product design, engineering, or game designers, creativity and creative thinking are highly prized. This creative STEM course might just be the first step in that direction! "If we can do this: marry the technical with the creative — we are golden: competitive, innovative, and ahead of the curve. So let’s not forget the “A.”"